OKLAHOMA CITY (AP) – Oklahoma candidates have spent $33 million running for state offices so far in this election cycle. The Oklahoman reports that nearly half of the total is going toward the governor’s race. About $2 million has flowed through outside groups with most of it designated for the Republican races for governor and attorney general. Candidates are seeking money from individual donors and special interest groups, but in many cases are tapping into their own bank accounts. 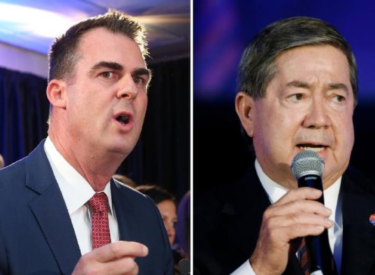 Republican gubernatorial candidate Kevin Stitt has loaned his campaign more than $3 million and paid an additional $86,000 out of pocket. Stitt’s campaign had spent about $6 million through mid-August. The candidate’s campaign spending has already eclipsed the two previous top gubernatorial spenders, and there’s still several weeks left before the Nov. 6 general election.